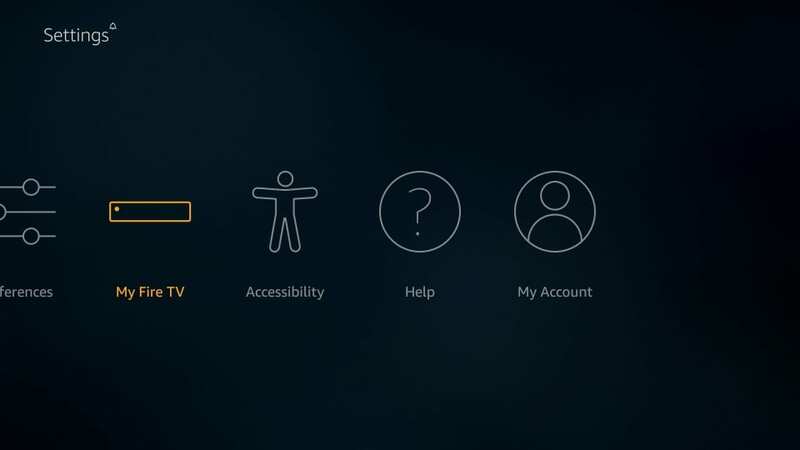 In this guide, I will take you through the installation guide of TVZion on FireStick. The method laid out in this guide also works on Fire Stick 4K, Fire TV, and Fire TV Cube. TVZion is one of the newer on-demand apps for Android that lets you watch the free media including your favorite movies and TV shows. This app offers you a simple and incredibly easy to use interface. TVZion is hundred percent remote friendly, making it a great choice for your FireStick device. The app has a solid library of content, offering you hundreds of hours of free entertainment. Unlike many other on-demand apps, TVZion lets you start streaming with just a click. It usually doesn’t display the list of the links for you to choose from. Instead, it picks the healthiest link and starts playing the content immediately. I have been constantly looking for the best Terrarium TV alternatives ever since the service discontinued. I am glad I have found some good options. TVZion is definitely going to my list of top Terrarium Tv alternatives. TVZion is not just for FireStick but also for other Android TV devices, such as Android TV and Android TV Boxes. You can also use it on your Android smartphones and tablets. In fact, if you have an Android emulator, you can install this app on your Windows and Mac computers as well. 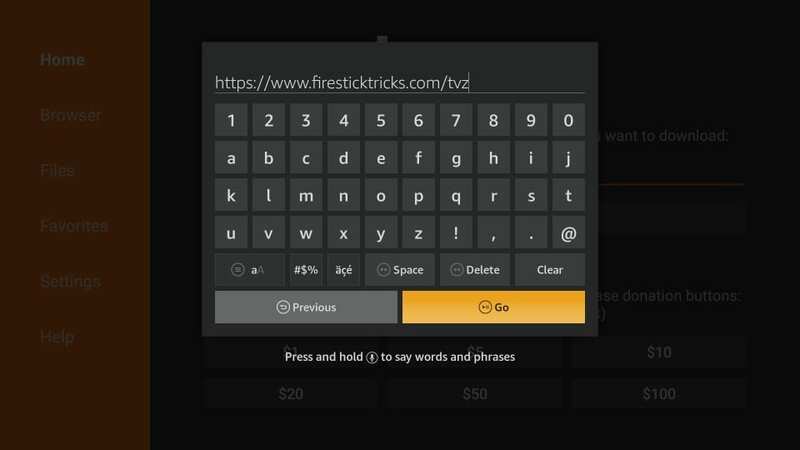 FireStick lets you download and install the third-party apps like TVZion. But, for that, you must change one security setting. Apps like TVZion are considered ‘third-party’ because they do not come from the Amazon Store. By doing this, you set up your FireStick to install third-party apps, such as TVZion. Governments and ISPs across the world monitor their users’ online activities. 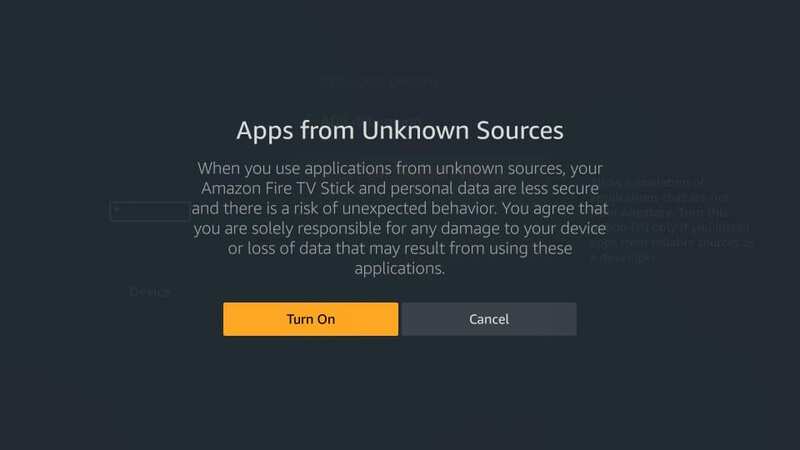 If found streaming copyrighted content on your Fire TV Stick, you could get into a serious trouble. Currently, your IP is visible to everyone. I strongly recommend you to get the best FireStick VPN and hide your identity so that your movie viewing experience doesn’t take a bad turn. 6. 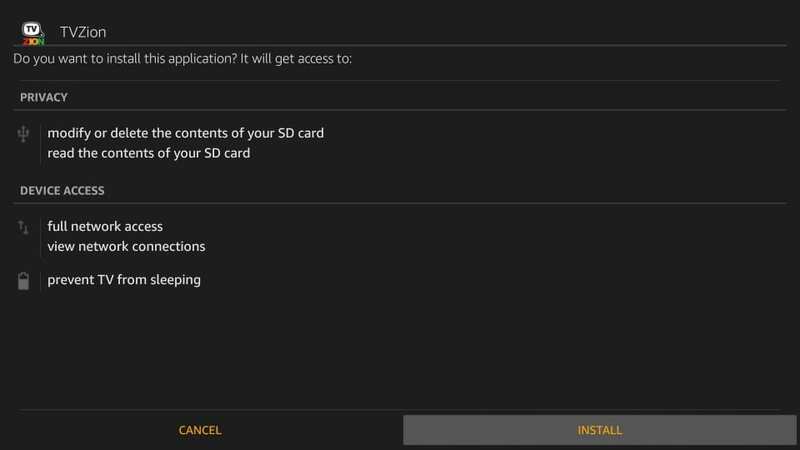 The first thing you need to do is install an app that facilitates side-loading of third-party apps on FireStick. 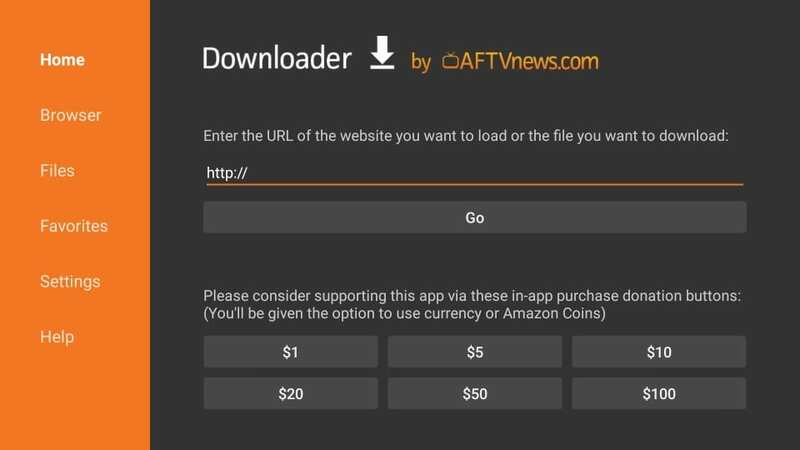 You need such an app because you cannot download the APK files directly through a web browser on FireStick. 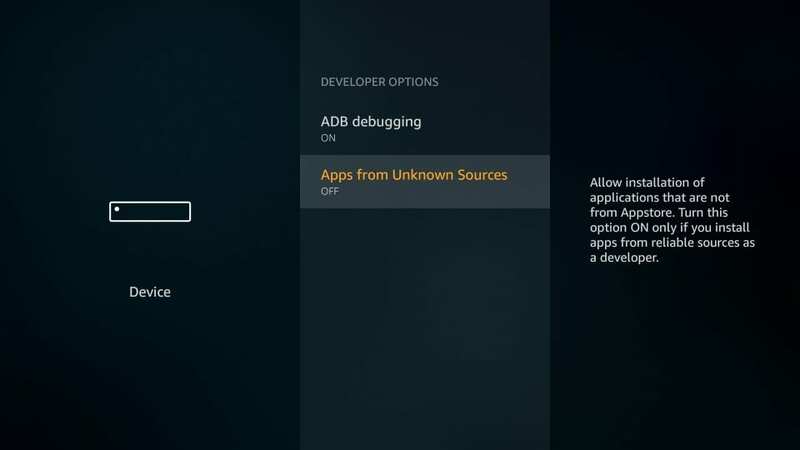 I recommend Downloader, the best sideloading app for FireStick I have come across. You could easily download it from the Amazon Store. 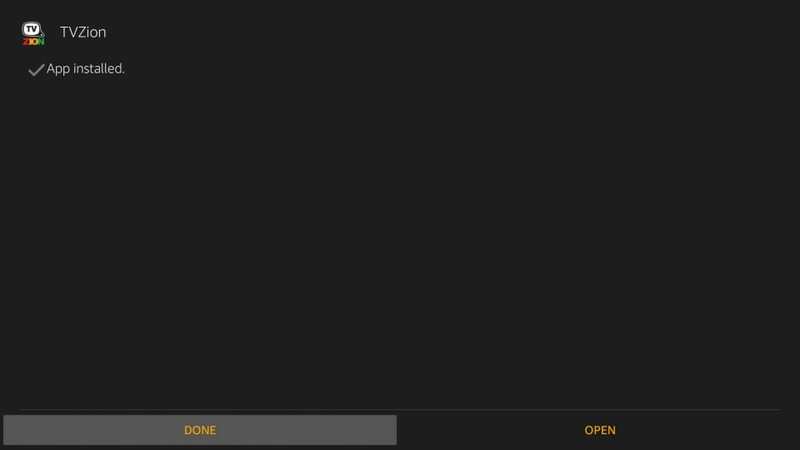 Simply open the Search function of FireStick from the home-screen and look up for the Downloader app. By following the onscreen instructions, you will have Downloader in no time. 10. The moment the APK is downloaded, Downloader immediately initiates the installation by executing the file. Following is the window you see next. 12. When TVZion app has been installed on FireStick, you are notified with the message saying App installed. The Open button on the bottom right will launch the TVZion app right away. But, we don’t want to do that yet. The reason why I want you to delete the TVZion APK is because it will free up some space on the limited device storage. When the APK has installed an app, it is no longer required. Well, that’s pretty much all you need to do. You have successfully installed TVZion on FireStick. Now you know how to install TVZion on your FireStick device. Let’s now explore it. You now see the list of all your installed apps. Navigate to the bottom of the list and that’s where you will find the TVZion app. Let us now explore this app. When you run the TVZion app for the first time, here is the pop-up you are welcomed with. 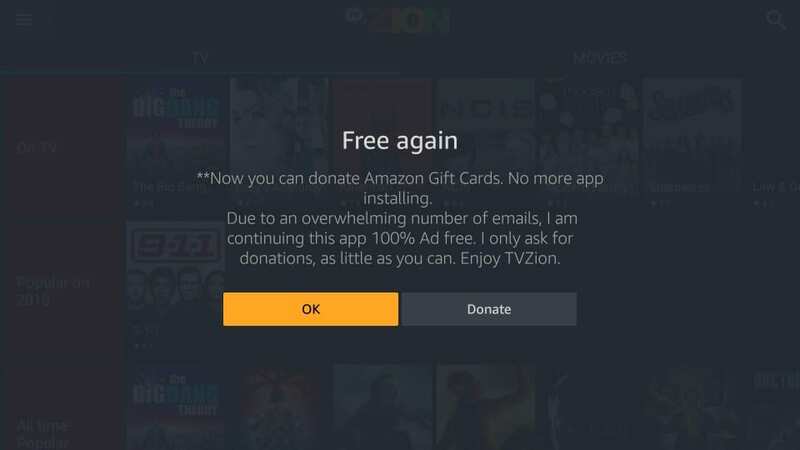 The pop-up says that TVZion is ad-free and encourages you to make donations. If you want to donate, click Donate. To go to the TVZion app interface, click OK.
You can also find the Donate option in the main menu later. 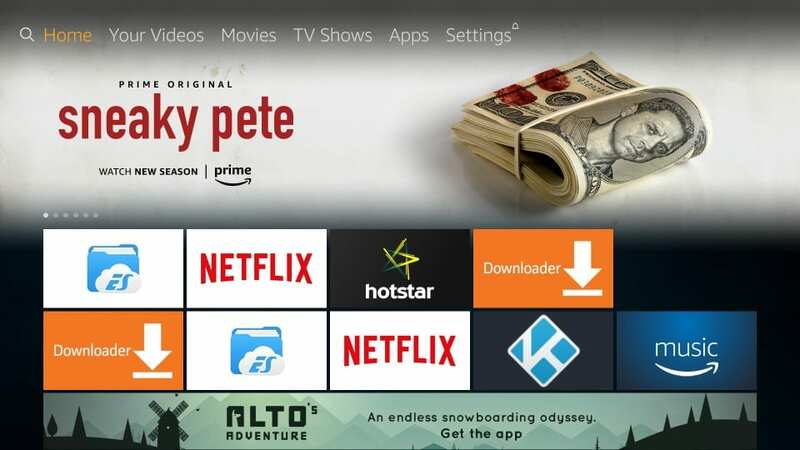 Here is how the home-screen of TVZion on FireStick looks like. As you can see, there are two tabs on the top for TV & Movies. The TV tab is selected by default. The categories are on the left and the featured shows in the category on the right. Same is the case with the Movies. If you are looking for something specific, you can click the Search option on the top right. When you click the menu in the top-left corner, you see the following options. As I told you, there is Donate option right there. It also has the TVZion home option and TV & Movies option along with Watch List. 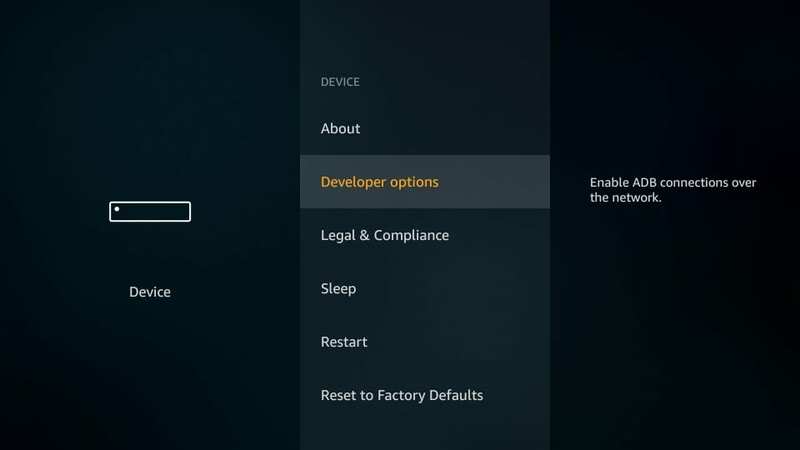 Click the Settings option in the menu and you will see the following options. 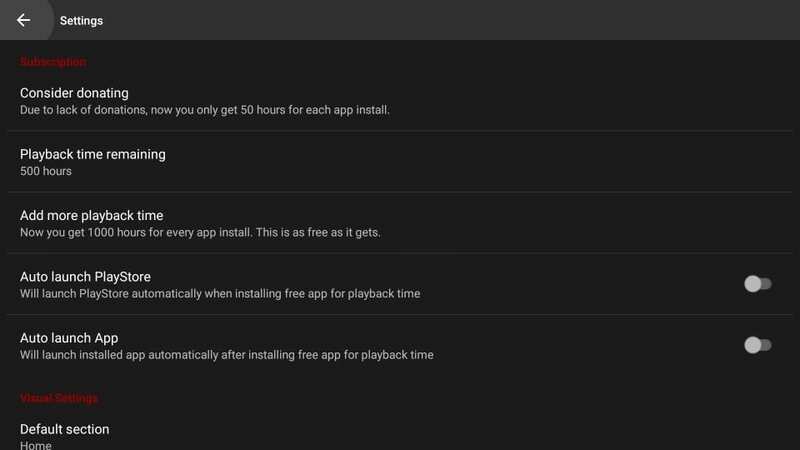 Even though TVZion is a free app, it restricts the initial playback time to 500 hours. You can add more playback time by clicking the option Add more playback time. But, I have noticed that the Add more playback time does not really work on FireStick. It is for the Android users who have access to Google Play Store. The initial allocated 500 hours is actually a lot of viewing time. I can watch 250 movies of 2-hrs each. I can watch 600, 50-minute episodes. It will take me several months to exhaust 500 hours. However, if you are running out of playback time, you may always uninstall and reinstall the app. To get more playback hours, you can also make donations using Amazon Card or Bitcoins. So, that is probably all you need to know about TVZion on FireStick. Simply install the app and start watching your favorite content. 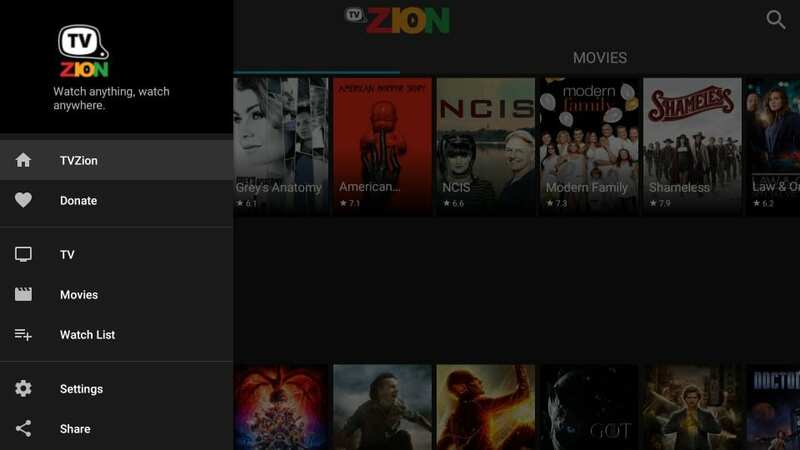 TVZion APK is lightweight and takes only a few minutes to install. Furthermore, the small size also makes sure that the app is easy on your device. Go ahead and give this app a try. I have downloaded it but it keeps saying failed to initialize tvzion. What do I do now? Hi Ashleigh, I just installed TV Zion and it worked fine. It asked me to update to a newer version, which I did. I have updated the link with the latest version. It should work for you as well. Give it a try and let me know. There app is stating that tvzion is unreachable. No programs are showing up at all. I am currently on the 3.2.2 version. Is there something that I need to do or is this a known issue. There are no movies on my tvzion?? Hi Jade, there was some bug in that particular version. I have updated the download link for the latest version of TVZion. Please uninstall the currently installed version and then install it fresh following the guide above.